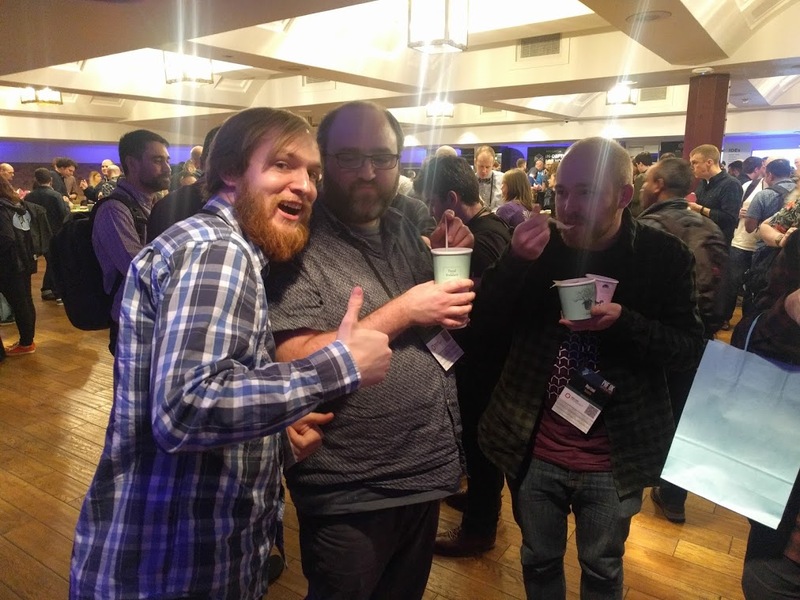 The 13th Annual PHP Conference took place in London in February 2018. Our blubolt developers went along on the 15th and 16th to get the latest industry insights and developments from leading experts in the field. The aim was to attend various lectures that were both of interest to individual developers while being beneficial to ongoing projects here at blubolt. 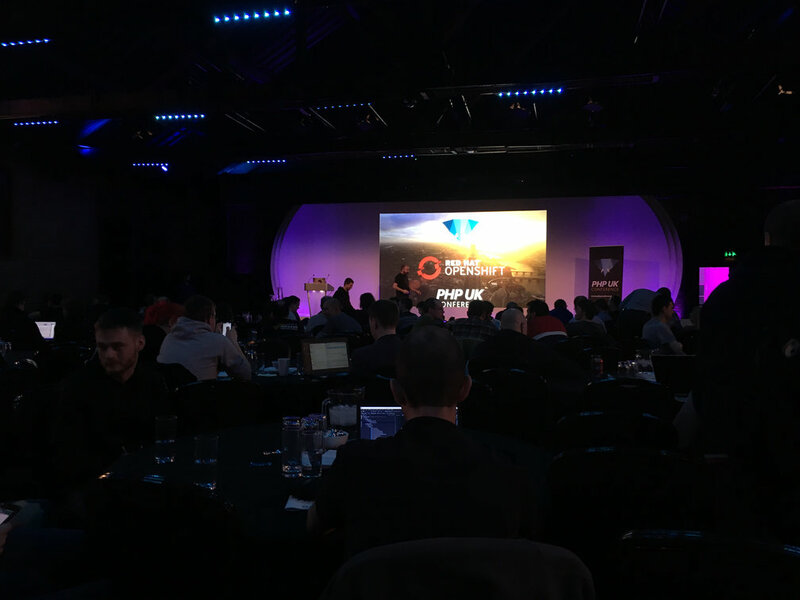 The team attended a variety of talks and found the event as a whole to be highly informative and interesting in terms of current PHP trends and best coding practises to adhere to, as well methods to drive optimisation and efficiency. Read on for their main takeaways from the event. Also known as PWAs, progressive web apps are essentially a combination of a mobile application and a mobile website whose salient feature lies in the fact that they can be used offline. Future improvements in this technology could make some very useful functionalities possible, such as the creation of offline e-commerce baskets for making purchases when users log in again after adding items to their basket, having not previously completed the checkout process. 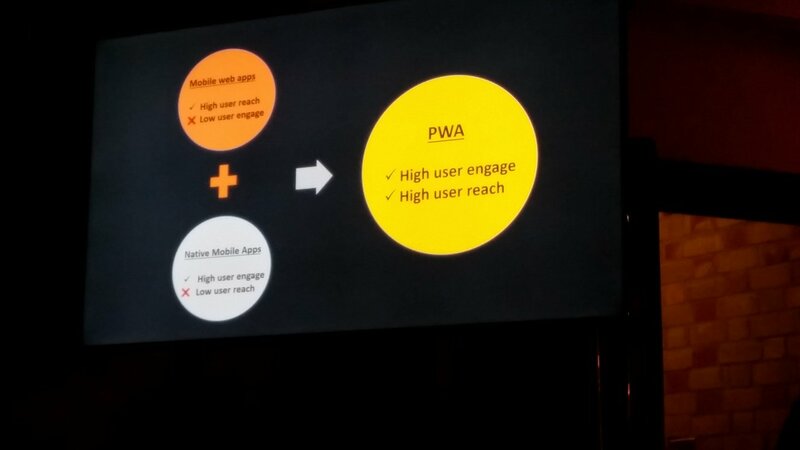 The lecturer explained this and other offline capabilities of PWAs which are possible thanks to cached data that can be loaded without internet connection, providing the best of both a web page and a mobile application. This is a relatively new field and definitely a growing area of interest for 2018 which the team enjoyed learning about. Some of the team went to a talk on performance optimisation, in other words how to utilise certain PHP tools to help speed up specific processes on the bluCommerce platform by targeting areas that could be slowing down specific applications. The developers learnt a more in-depth approach to this than they had previously seen, enabling them to better identify bottlenecks in our application as they appear while helping to diagnose parts of it that are taking longer than expected to load. The overall result of applying this learning would be improved efficiency in detecting and fixing issues as they arise. Behaviour-driven development is a method of testing processes that allows all stakeholders of the business to be involved. 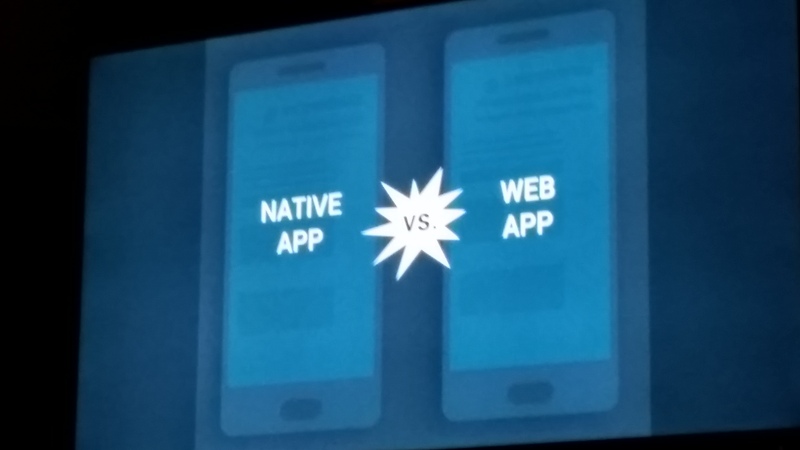 Usually an account manager or client would ask a developer to make a change to the application. The developer would then take the specification for that change and write it in code, after which point the individual who made the request would not be involved in the process due to the technicalities involved. Behaviour-driven development, however, enables stakeholders to define their specification in plain English, which a computer programme is then able to translate into coding language. This ultimately means everyone involved can collaborate on the specification (not just the tech wizards!) and renders the testing process more streamlined and transparent, while driving developments guided by how users want to experience things on a site, as opposed to how developers perceive that they should experience things. The team found this talk useful as the overarching aim is to provide more efficient testing scenarios and processes which prevent stakeholder expectations being misunderstood. 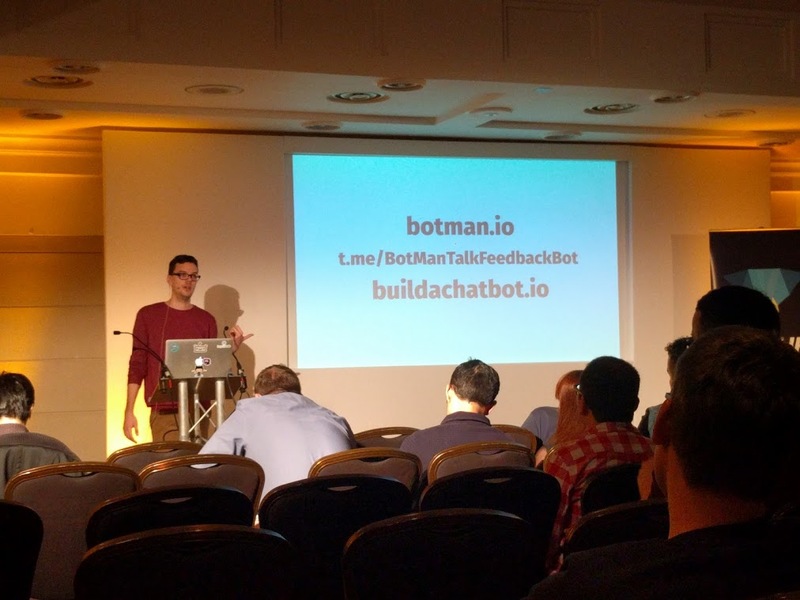 The team also learned about “Botman”, a kind of chatbot PHP framework for internal communications and processes which would improve visibility and efficiency among developers by having all the information from other applications accessible from one central location. This would mean that developers would be able to execute commands much easier. Inversion of control (or IOC as it’s known) was another topic that the team learned about which could be helpful in restructuring code to make it more maintainable in the future. 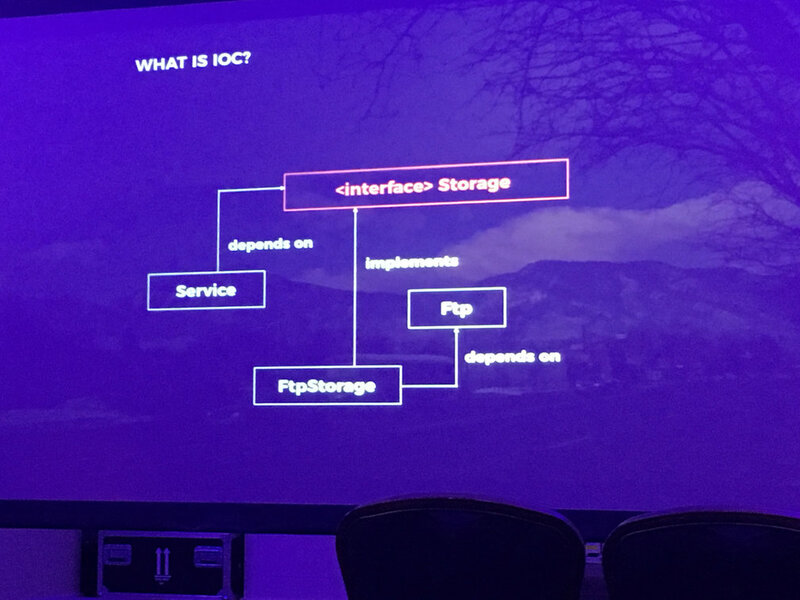 The core aim of this would be to increase efficiency, because with IOC any developer can more easily make modifications to existing code, which consequently makes code more scalable. The buzzword of the conference was: optimisation. The team learned a lot about improving efficiency when coding as well as best practices on how to approach code based on the individual developer. The insights into current and future PHP trends were highly informative and useful for the team in terms of possible areas for individual and collective development. The opportunity to network with other individuals in the industry was also a highlight, as well as the amazing food provided by the event!